How can B2B marketers measure their online marketing investments? According to AMR International, only 50% of B2B marketers can measure it formally and they admitted that they find it more effective rather than traditional marketing channels. It happens because of the budget size a business has allotted and those who have yearly budgets lesser than $25,000 has the capability to formally analyze their metrics. Unlike those who had provided budgets higher than $2 million. Only 24% can calculate it not like the remaining 84%, which automatically means that budget plays a big role in measurement. 64% of B2B marketers who formally measure Return on Investment (ROI) admitted that they had a clear sight of ROI while the remaining 32% said the same even if they don’t formally measure their Return on Investment. According to the study, B2B internet marketing has three strategic goals that are as follows: lead generation, brand awareness and customer retention. How much do marketers allot for each major goal? 34% of the total budget is allocated for lead generation, 38% for brand awareness and the remaining 28% is for customer retention. By contrast, 28% of online budgets are designated for awareness with the difference allocated between lead generation and customer retention. The channels that support the three major strategic goals can be measured. B2B marketers said their efforts are all worth it for they have experienced the effectiveness. A good example would be those who formally keep track of their lead generation Return on Investment rate 49% of them rated good for their lead generation channel unlike the 35% marketers who do not track lead generation Return on Investment formally. Measuring financial Return on Investment most of the time becomes harder for channels; an example would be those who measure the ROI of brand awareness, B2B marketers see that it is more effective unlike the 50% and 48% who do not measure it. US online B2B ad spending is expected to grow annually from 12% to 14%. Online B2B growth will be based in the allotted budget; it is anticipated to recover at a 4% CAGR until 2013. Expect more B2B to engage and do ad spending on social media, which will increase in the coming years. It will increase by double digits reaching 21% and 17% annualized rates. Posting ads in magazines will drop at 5% CAGR. Online is expected to account for 12% of the B2B marketing mix by 2013. 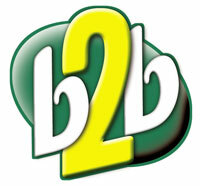 By 2013, online is expected to increase for 12% of the B2B marketing mix. 2/3 of B2B marketers said that online and traditional marketing activities must be combined and complement each other. About the data: The above-mentioned data are acquired from more than 1,000 B2B marketers (marketers and media owners) conducted during the 2nd quarter of the year 2010. These are according from the interviews and analysis of propriety survey data.